The majority of total harvested acres in the United States have long been planted to corn, soybeans, wheat and hay. Will this ever change? What are the pros and cons of diversification? There is plenty of chatter on both sides of the farm-fence as to what, how to and even if you should diversify your crops. It’s a big, and often risky, decision. We break down some of the pros and cons for you here. Another reason to diversify crops is to spread your risk. When housing starts plummeted during the economic crisis, turfgrass sod producers, for example, planted more of their acres to soybeans. Economic incentives to diversify are not always clear or available, however. The bulk of agricultural subsidies in the United States are geared toward corn, wheat, soybean, cotton and rice—“thereby incentivizing greater production of these few crops,” notes Brenda Lin, in BioScience. Lin is formerly of the Environmental Protection Agency (EPA), and is now at the Australian Commonwealth Scientific and Industrial Research Organisation [sic]. Lin adds that “developing policy that incentivizes the diversification of agricultural crops and landscapes may be a more rational strategy for developing resilient agricultural systems and protecting food production in the future under climate change.” But, it’s important to remember that crop diversification can be implemented in different forms and at a variety of scales, Lin suggests. The growing interest in cover crops is evidence. 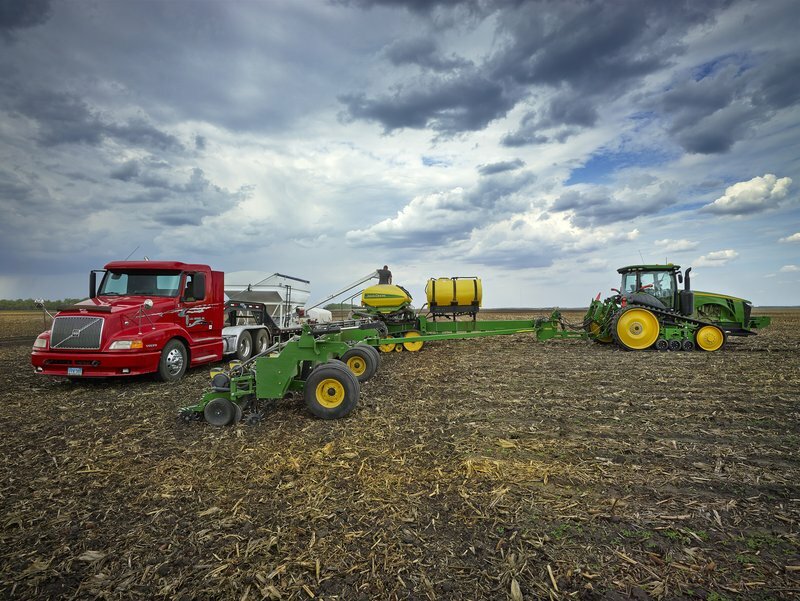 More growers around the United States are using cover crops to increase soil organic matter, reduce soil erosion, reduce compaction, control weeds and provide a nitrogen source. A 2013-2014 report on cover crops published by North Central Sustainable Agriculture Research and Education and the Conservation Technology Information Center summarizes the benefits and challenges related to the use of cover crops. Getting outside of one’s core competencies means needing to decide where to invest and requires monitoring performance. Potential to create conflict among business principals because of different levels of interest in or support of diversification ventures. Failing to use good cost accounting (or managerial accounting) to monitor performance in diversified profit centers and adjust investments or strategies accordingly. Not understanding the internal conflicts or drains that diversification can have on human resource use; production strategies; capital and financial needs; and marketing expertise. Staying with an enterprise too long and not knowing when its performance warrants exit from the business. This is often tied in with the 3rd point, not having a good measurement system to tell you when the enterprise is performing poorly. “When farms have tried to start a new enterprise and taken their eye off the ball, it has typically resulted in a failure of the new enterprise as well as damage to the existing one,” notes Bev Connell, ProAgri Consulting of Falmouth, Nova Scotia. Connell co-wrote the Ontario Agriculture Ministry’s Exploring Value Added Opportunities. Lack of patience and cash flow can crash startups, writes Maggie Van Camp in the December 17, 2014 edition of Country Guide. When University of Kentucky researchers studied 120 value-added dairy processors across the United States, they found only about a third had reached positive cash flow one to three years after launch. For six percent, it took five to 10 years. Agricultural diversification can help producers develop new revenue streams and spread their risks. To achieve success, however, they must “strategically know where and when to invest, how to monitor performance and know when or how to exit,” notes Wittman in Farm Futures. Like any new endeavor, it is important to first do your homework and consult your trust advisors.